Air Canada says it has a new policy, effective immediately, not to carry any shipment of lion, leopard, elephant, rhinoceros or Cape buffalo trophies worldwide as freight. The airline made the statement today in response to a query from CBC News. But you won't have trouble transporting some Canadian animal trophies, such as black bears or grizzly bears. Even polar bears can be shipped with the correct government permits. Several other airlines have banned air shipment of hunting trophies in the past few days, including Delta, United and American Airlines. Air Canada said the ban goes over and above its long-standing policy to comply with the regulations that are in place to protect endangered wildlife in accordance with the Convention on International Trade in Endangered Species of Wild Fauna and Flora. The trophy hunting of exotic animals is in the spotlight after the shooting of Cecil the lion in Zimbabwe by an American dentist. Historically the shipment of such trophies has been extremely rare on Air Canada as the airline does not operate flights to Africa. Air Canada told CBC News the same ban does not extend to black or grizzly bears, among the trophy animals most likely to be hunted in Canada. The airline said it would allow transportation of those bear trophies which are legal to trade under CITES and Canadian rules and that could include polar bears. Export permits are required to ship polar bear skins. WestJet points out it does not serve destinations where hunters can take Big Five animals, including lions and elephants, but says it would not carry Big Five trophies. It will however carry elk, deer, bears or any other animal that has been legally hunted, according to spokesman Robert Palmer. There has been a public and internet outcry about the killing of Cecil, with Zimbabwe alleging that it was illegal. A Change.org petition sent to Delta Airlines demanded the airline, which serves South Africa, stop transporting trophies of Africa's so-called Big Five animals — lions, elephants, rhinoceroses, leopards and Cape buffalos. That is the same Big Five animals that Air Canada has banned. Earlier versions of this story contained contradictory information about whether polar bears were protected under CITES. In fact, they have only limited protection and may be traded with an export permit from Canada. Air Canada will transport them with the correct documentation. 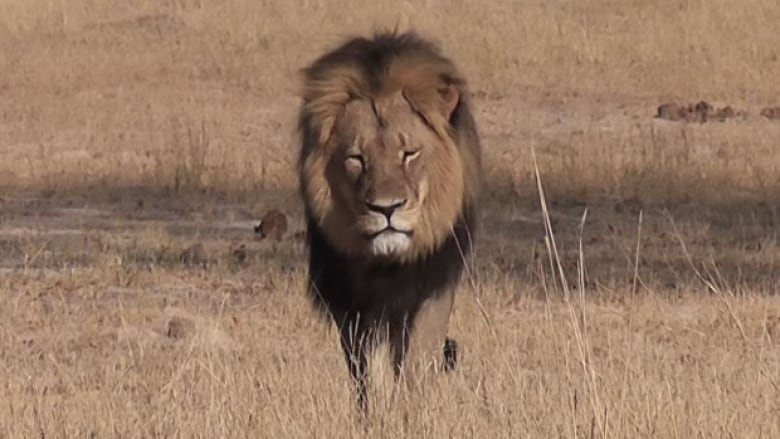 Cecil the lion: Can any good come from his death?